The Silver Monitor series exemplifies Triad’s commitment to high-end custom sound, with four versions; one InRoom, two InWall and one InCeiling model. All four models feature groundbreaking proprietary enclosure technologies, as well as the finest drivers available, for unsurpassed performance. 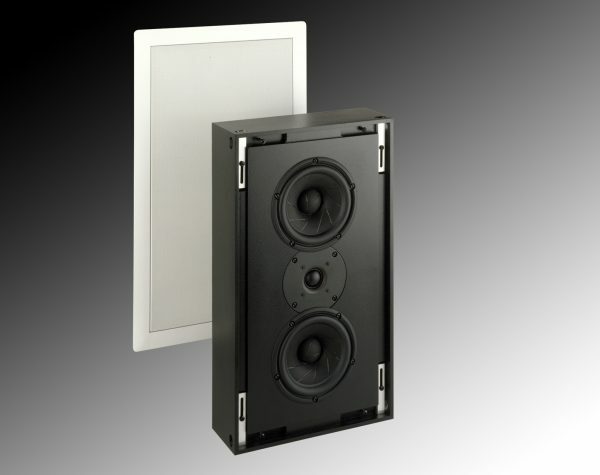 The InWall Silver/4 Monitor is well suited to critical two-channel listening or, with it’s high (92 dB) sensitivity, it is just as appropriate for demanding home theater applications. It can be used as a full-range monitor, a high-end point-source surround, or with any of the Triad InRoom or InWall Subs. In all applications, the InWall Silver/4 Monitor effortlessly delivers startling clarity and dynamics. 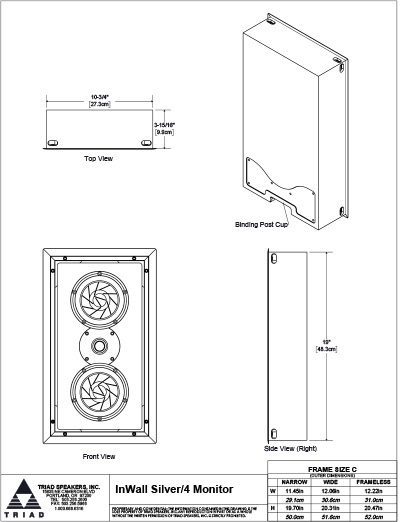 Where there is a 4″ wall stud depth, the InWall Silver/4 Monitor installs flush using Triad’s elegant Acoustiperf grill. Triad can custom match the grill paint to any color, giving you superb yet invisible sound reproduction.